While it may be true for the purposes of the law, politics and human rights, it’s sadly not true of programmers. Some are more skilled than others, while those others may specialize in things that make them peculiarly suited to a particular job. The problem comes when it’s time to evaluate a person for a specific job. On paper they may claim to have certain skills, but when the rubber meets the road, can they really carry off the job at hand? Wouldn’t it be great if you could vet someone not by word of mouth, but by evaluating the code they’ve written in the past? That’s the idea behind Gild, which I first wrote about over the summer when it was just getting out of the starting blocks. Today Gild will announce that it has landed an $8 million series A round of venture capital funding led by Steve Anderson of Baseline Ventures. Prior investors in Gild’s seed round also participated. They include SAP Ventures, Globespan Capital Partners and investor Mark Kvamme, best known for his early stake in LinkedIn. 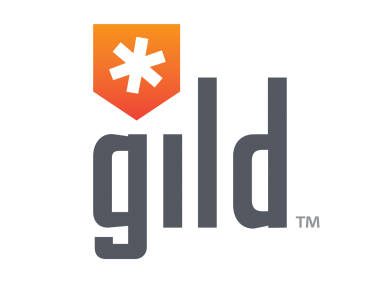 Gild has created a cloud-based service that tracks the code that developers share publicly on services like GitHub and Google Code. It monitors how often that person’s code is accepted for open source projects, and how often other developers borrow from their code or “fork” it, which is a sign that other developers like what they see. The result is that the programmers with the prestigious academic degrees may or may not be the ones you’re looking for, but it’s hard to know for sure until you’ve seen the code they’ve published. Software development becomes more of a meritocracy. The company has been growing fast, and has seen its overall user base grow by 900 percent. Its customers include Box, Red Hat , Rackspace, Zynga and Square. Gild has also been on a hiring tear: Jill Erickson, a former senior VP at advertising agency TMP Worldwide, joined as chief revenue officer in November. In December, Vivienne Ming, a Carnegie Mellon PhD and former research fellow at Stanford University’s Center for Mind, Brain and Computation, joined as chief data scientist.